Welcome to episode Forty Eight of The Inspired Women Podcast. In today’s episode your host Megan Hall interviews Mischelle O’ Neal. Mischelle is a retired Air Force veteran, wife, mother and grandmother who understands we do our best whenever there’s a need to fight . . . but how we fare in that fight depends on the right mindset, a clear strategy and expectation to execute. 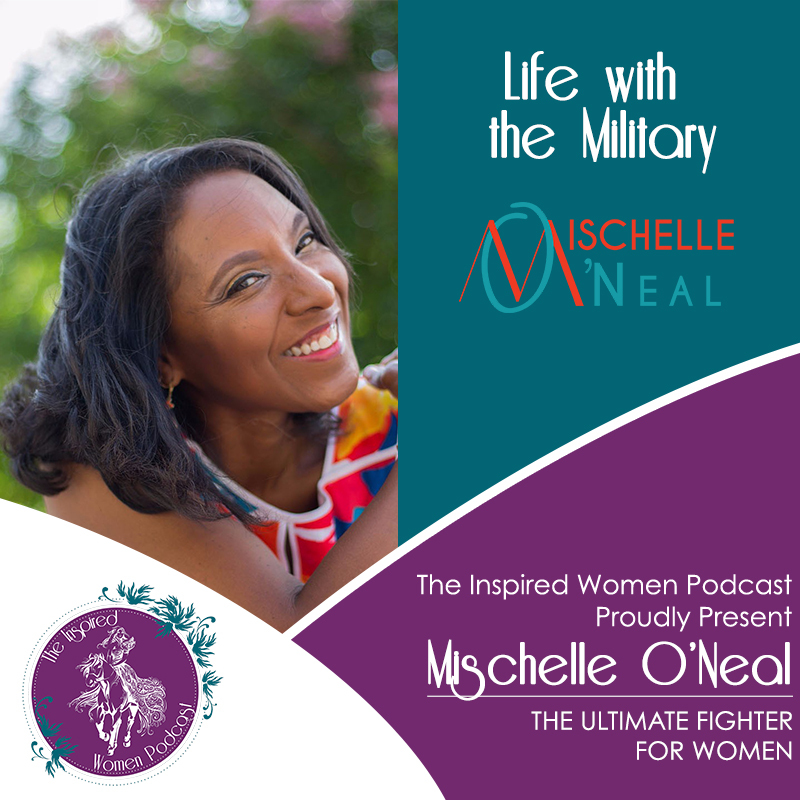 Mischelle learned the significance of fighting back early in life and realized the victory wasn’t always in winning the fight, but instead was in the act of showing up ready with determination, confidence and conviction. Her military experience helped her fine tune her mindset, identify the necessary resources and prepare herself physically to show up to life’s obstacles. Every woman wakes with a choice to fight or flee. It’s Mischelle‘s mission to help women redefine their fight and address the world in a way that made sense to them. She understand that the battles that lay ahead aren’t necessarily because someone is out to hurt us. She also know that when we don’t take action, we only hurt ourselves. The “Fight” and fighter remains the same, but our orders and mission have changed.